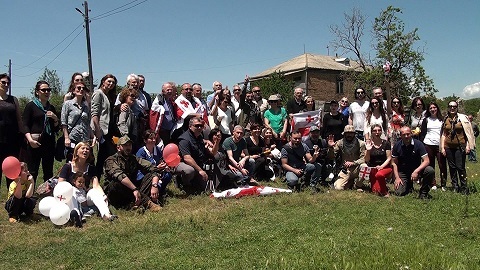 “Glory to freedom, Glory to brave Georgian nation” – members of the Georgian Association in France sang the Anthem of the Democratic Republic of Georgia in Khurvaleti village near the occupation line on May 28. The members of the government of the Georgian Democratic Republic and descendants of the participants of the largest rebel of 1922-24 against the Soviet Government were among the delegation. Otar Pataridze, son of Elisa Pataridze, was in Khurvaleti too, who during years headed the Georgian Association in France. Otar Pataridze recalled his father’s struggle for the independence of Georgia once again and said that his father was member of Kakutsa Cholokashvili’s army and after the rebel of 1924 was defeated, he was first placed in Metekhi prison and then ran away from there; he sheltered France together with his co-warriors. The president of the Georgian association in France Otar Zurabishvili said when the country is divided with the occupation line, the struggle for the independence and unification still continues. 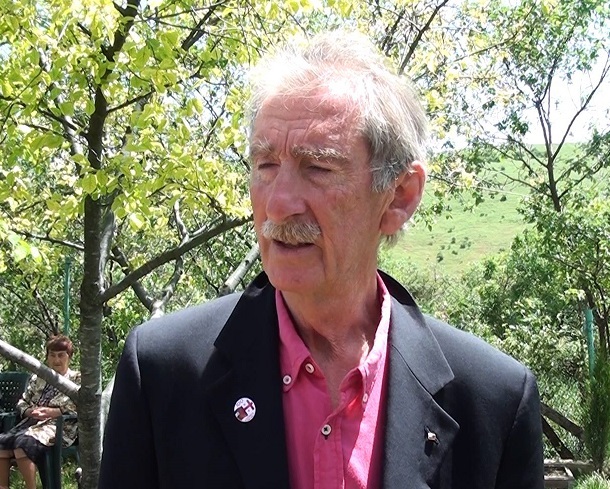 “The struggle of our ancestors, who after losing independence in 1921, were forced to flee from Georgia, has not finished yet as the Georgian territory is not integrated yet. Until this problem is resolved, we must fight for the independence of Georgia,” said Otar Zurabishvili. The representatives of the Georgian Association in France visited the Shelter of Elderly People in Khurvaleti and gave them presents.